When I went to 505 Games’ booth at PAX East a couple of weeks back, I checked out Bloodstained: Ritual of the Night first before jumping over to get a look at Indivisible. 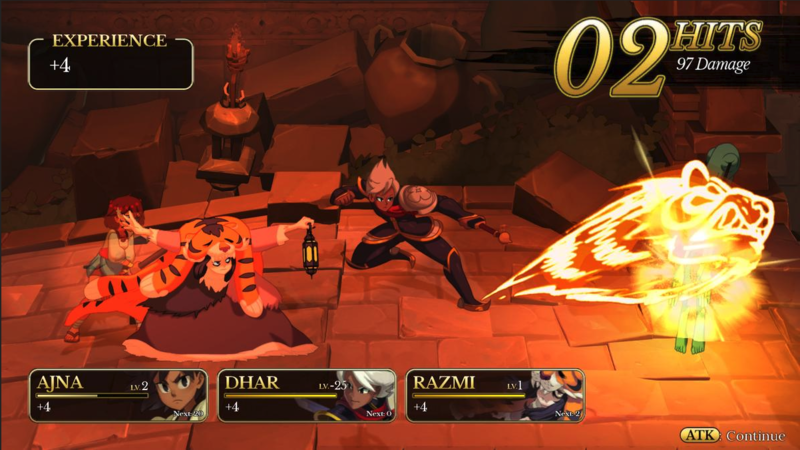 It is a new action RPG from Lab Zero Games, the creators of Skullgirls. Coming into playing Indivisible, there wasn’t a whole lot I knew about the project. I liked the way it was animated, much like Skullgirls, but I didn’t know what to expect in terms of how it would play. 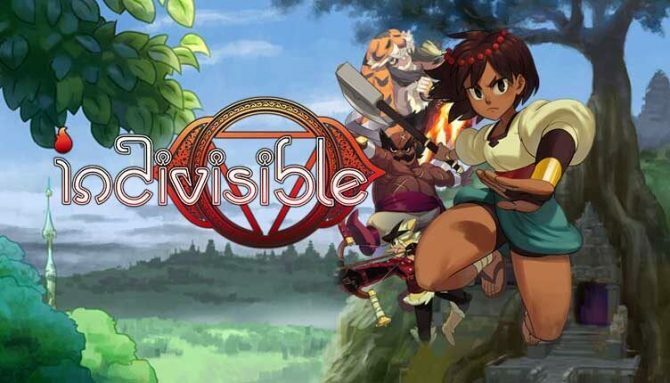 After about 30 minutes with Indivisible, I now find it to be a very intriguing title. Lab Zero Games is doing something drastically different from Skullgirls, but in a good way. If all turns out well, this could be a sleeper hit for fans of the action RPG genre. By far the most interesting aspect of Indivisible was the game’s combat. 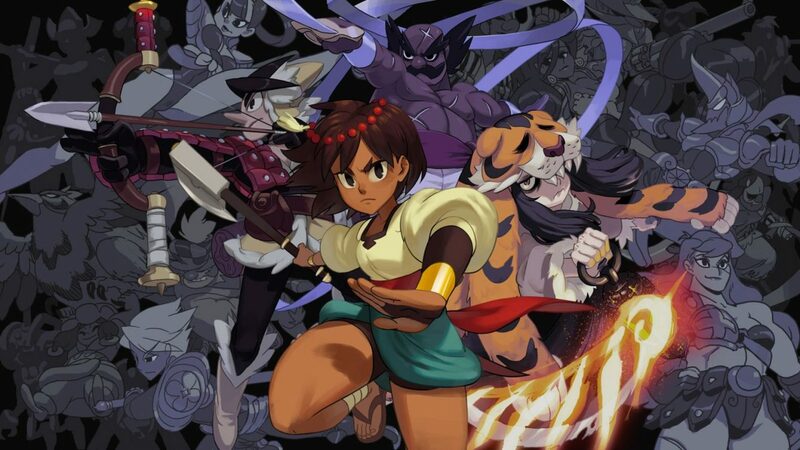 A mix between real-time and turn-based combat, Indivisible’s fighting system is definitely what left a lasting impression on me. Once you enter combat, you’ll find that a different character is assigned to each of the four face buttons on your controller. Pressing each button will allow each character to then do a basic move while more specialized moves are then activated by pressing that same face button in tandem with a direction on the thumbstick. 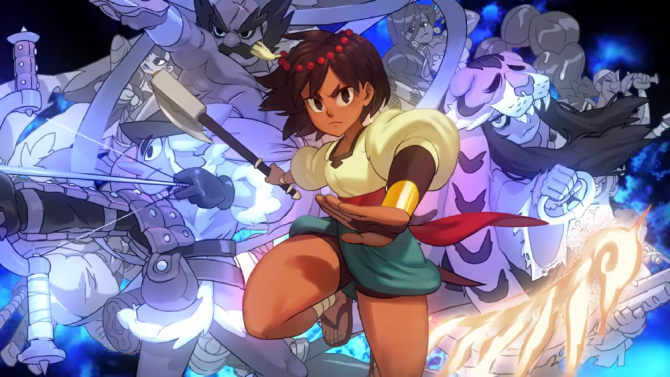 For instance, when using Ajna, Indivisible’s main protagonist, she could perform a shield breaking maneuver that would lower the guard of enemies. Without performing this action, you would be able to deal no damage to those that you’re facing. Each of the other three characters other than Anya had special moves of their own as well. Some could heal other allies, while others did larger area of effect attacks that would deal out damage to multiple foes. Once you started to get a grasp of what each character could do, it was fun to start using their moves all in tandem to string together larger combos. The final game is said to contain around 20 different characters as a whole to use, which means there will be a ton of depth to learning how they all interact with one another. Even though I enjoyed the combat once I started to understand how it worked, it was a bit hard to wrap my mind around at first. It could have just been this demo that I played, but Indivisible doesn’t really explain how the combat system works whatsoever. I was told that the full game will obviously convey all of this much more clearly, but that the way special attacks work could be overhauled before release since it’s a bit awkward in its current form. Outside of the realm of combat, the abilities of characters can have an effect on the world you’re traversing as well. 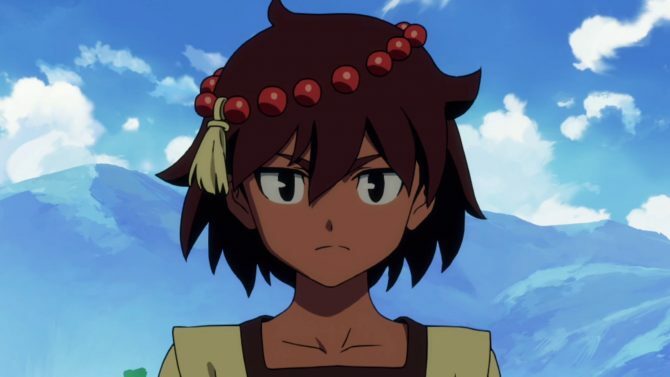 For instance, at one point in the demo I played, Ajna comes across a new archer character. Once this new companion joins your party, you’re then able to use a new ability involved with shooting arrows to advance to a previously inaccessible part of the map. In this way, Indivisble actually has a lot in common with the Metroidvania genre, which is pretty rad. I’m not sure how deep the Metroidvania roots will go in Indivisible, but I’m excited to see more. There’s also a pretty detailed story at play in Indivisible but as I was thrown right into the middle of the game without much context, it was hard to know exactly what was going on. 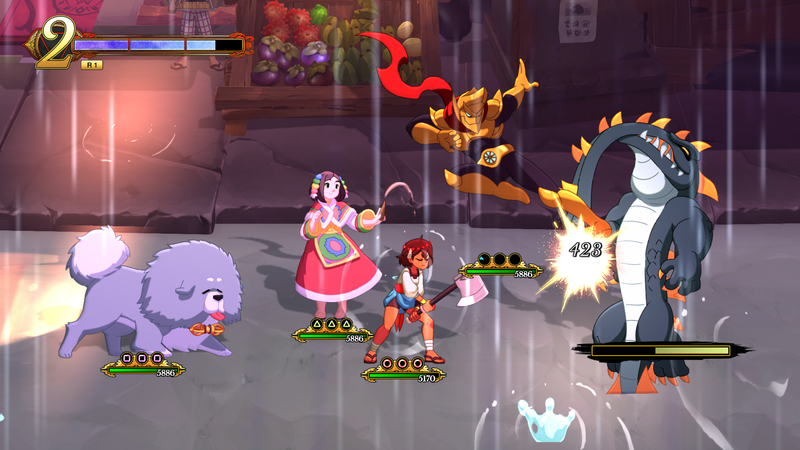 Still, if you like your RPGs to have a large focus on story and dialogue, Indivisible will definitely have it in droves. I feel like I only was able to see a brief slice of what Indivisible will offer from my demo but it was definitely all pretty positive. The combat system is one that I think will have a lot of possibilities, and I’m looking forward to seeing how it evolves over the long haul. If you’re a fan of old-school style RPGs, I think Indivisible is worth having on your radar. Indivisible is set to launch later this year on PS4, Xbox One, Switch, and PC. Lab Zero Games presents the first glimpse at Invisible's opening animation by Studio Trigger, the team behind Kill la Kill and Little Witch Academia.